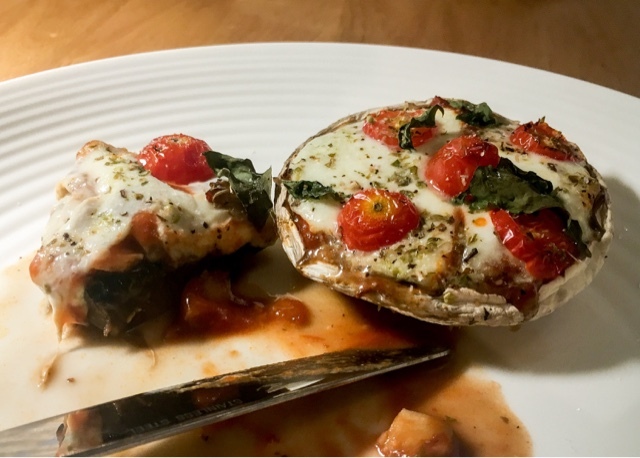 On my quest for low-carb meals, I've just knocked up these bad boys - pizza style portobello mushrooms! Here's the recipe; you won't be dissapointed by their awesomeness. 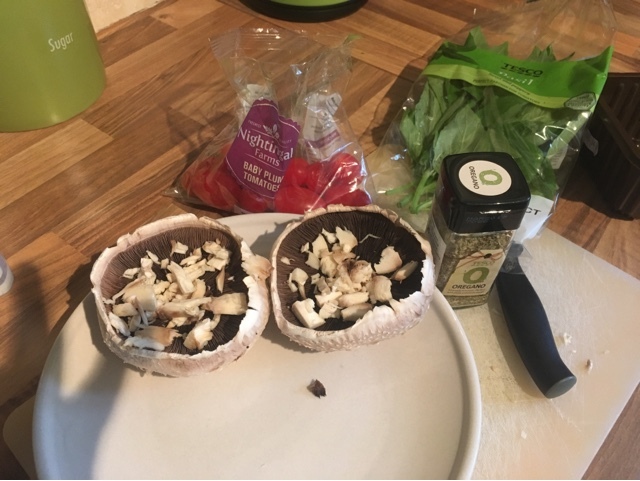 Take out each mushroom stem, chop it up and then put it back into the cap. 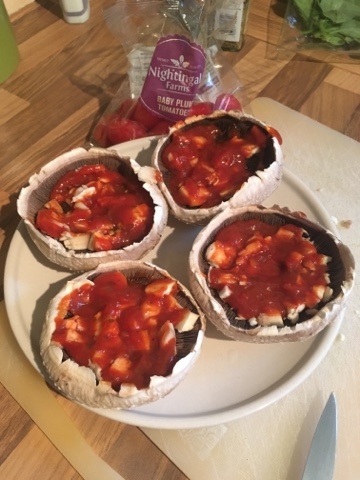 Add a dollop of pizza sauce to each mushroom. 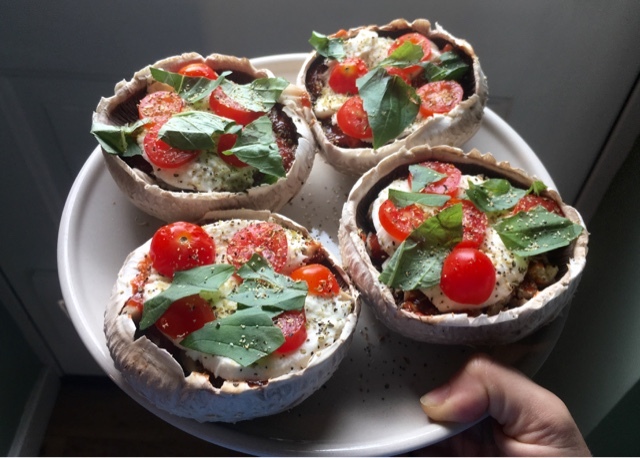 Slice the mozzarella ball and place it on the top, then finish with the sliced tomatoes, some torn basil leaves and a good shake of garlic salt, oregano and black pepper. Put the mushrooms on a wire rack and place in the oven for 20 minutes. Voila! Nommy nommy low-carb goodness.